Previously titled Can a Song Save Your Life?, Begin Again has now released its first trailer, so we can get a feel for this music infused upcoming movie, which stars Keira Knightley, Mark Ruffalo, Adam Levine, Hailee Steinfeld, Catherine Keener, CeeLo Green and James Corden. Here’s the synopsis: ‘Written and directed by John Carney, Begin Again is a soul-stirring comedy about what happens when lost souls meet and make beautiful music together. Gretta (Keira Knightley) and her long-time boyfriend Dave (Adam Levine) are college sweethearts and songwriting partners who come to New York when he lands a deal with a major label. Last week it was revealed that Nicholas Hoult and Jim Piddock had signed up to star in Kill Your Friends. Now production has started and it’s been revealed they have plenty of company, as Craig Roberts (Submarine), Tom Riley (‘Da Vinci’s Demons’), Georgia King (‘The New Normal’), Joseph Mawle (Half of a Yellow Sun), James Corden (‘Gavin & Stacey’) and Edward Hogg (The Comedian) will all co-star. Owen Harris is directing, with shooting taking place in London for the next five weeks. Paul Potts took the world by storm after he swept to victory in the very first series of Britain’s Got Talent. 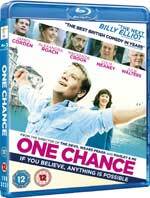 One Chance takes a look at the story of the mobile phone salesman turned opera singer. It’s Paul Potts: The Movie! James Corden plays the man who went from Welsh mobile phone salesman to Britain’s Got Talent winner thanks to his incredible voice. And if this trailer is anything to go by, it’s not going to let up on any sentimentality it can wring from the tale. David Frankel (The Devil Wears Prada, Marley & Me) directs, with Corden joined by the likes of Julie Walters, Colm Meaney and Mackenzie Crook. Simon Cowell is also going to appear as himself (he’s got his producer hat on for the movie too. I’ve never quite understood the charms of James Corden, but a lot of people love him and he’s also got a lot of respect as an actor, and he even won a Tony for the Broadway run of One Man, Two Guvnors. Now he’s signed up for a new movie, as Working Title has announced he’ll star in their upcoming School for Santas. The film follows a down-on-his luck dad who needs to find his inner Father Christmas to win back his kids. The film is set to start shooting in New York and London in 2013. The script comes from Richard Bean, who also wrote One Man, Two Guvnors, so it’s a bit of a reunion for the duo. Bean has also written such well received plays as The Heretic, Up On Roof and Harvest. James Corden has popped up in the likes of The History Boys, Starter For 10, Lesbian Vampire Killers and The Three Musketeers, but he hasn’t made a huge impact on film as yet. However following his Tony win last week, Corden’s US profile is on the rise, and he’s now booked two movie roles, according to Deadline. Corden is up for the new film from Once director John Carney, Can A Song Save Your Life, which already has Keira Knightley, Mark Ruffalo, Hailee Steinfeld and Adam Levine onbaord. Corden will play the best friend of Knightley’s character, who plays a singer who moves with her boyfriend to New York to pursue music careers, but she gets dumped as soon as he makes it. He’s also set to star as Britain’s Got Talent winner Paul Potts in the long-gestating, One Chance. Potts is the British cell phone salesman who showed up onstage to sing opera on BGT in 2007. Although he didn’t really look the part, he left the audience with their jaws on the floor. David Frankel (The Devil Wears Prada) is directing that film.